Apollo Tyres today announced that it has signed on cricketing great, Sachin Tendulkar, as its brand ambassador for the next five years. The company hopes this association will help it to leverage his popularity and reach a wider audience. This is also the first time that the company has associated with a celebrity. This move, and Apollo Tyres' ongoing association with the Manchester United football team is also in line with its goal of being more visible globally. Additionally, the company has more associations with sporting entities both in India and abroad. It has a presence in the German Bundesliga, with its association with Borussia Monchengladbach. In India, it has a presence in the Indian Super League (ISL), being the principal sponsor of Chennaiyin FC, and in the I-League, with its title sponsorship of Minerva Punjab F.C. 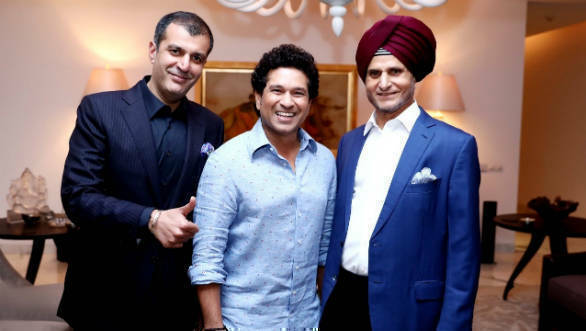 Commenting on the association with Sachin Tendulkar, Neeraj Kanwar, the vice chairman and MD of Apollo Tyres said that building the Apollo brand to its true potential is key to their growth. By securing Sachin Tendulkar's association with their brand, they have embarked on an exciting journey together. He was confident that this partnership will help them go the distance.